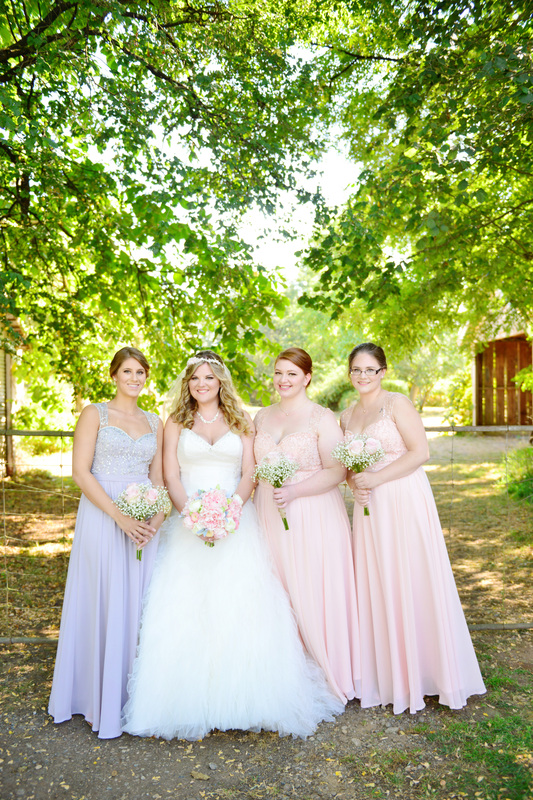 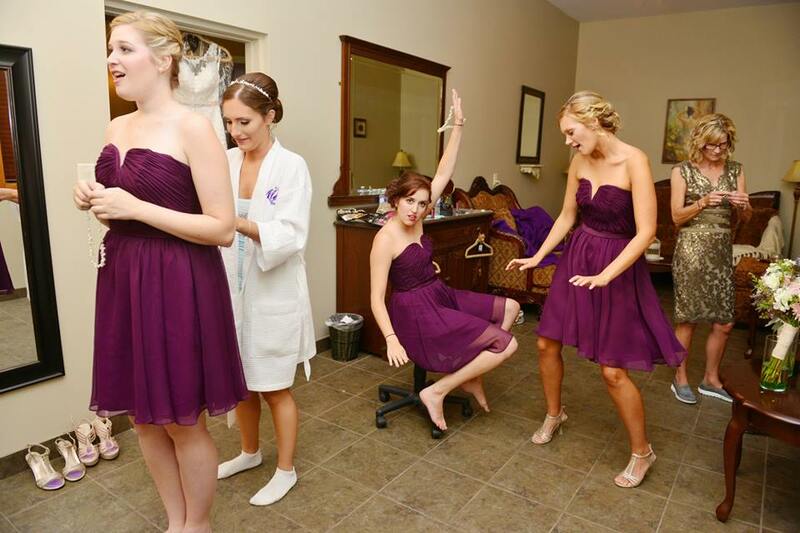 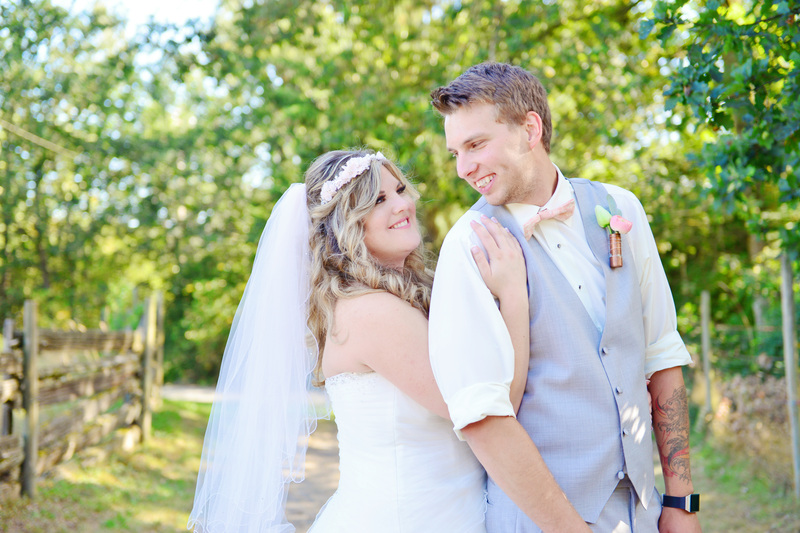 Tarin and her wedding party were such a lovely group to beautify on the morning of August 6th. 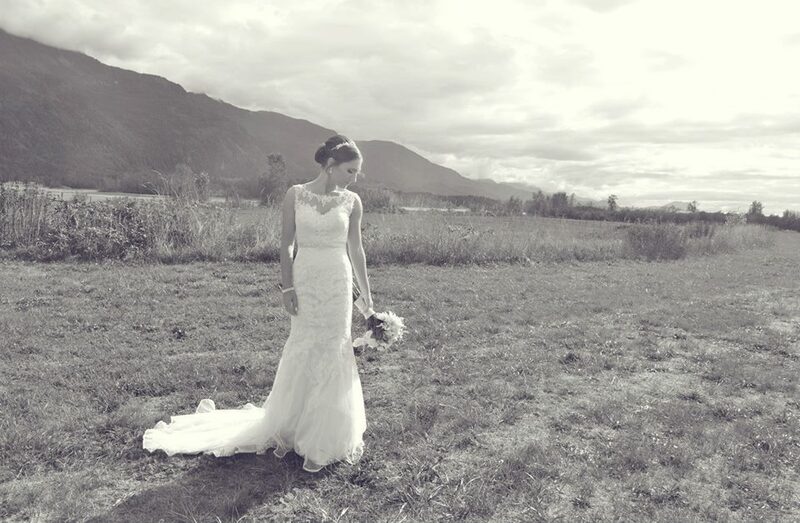 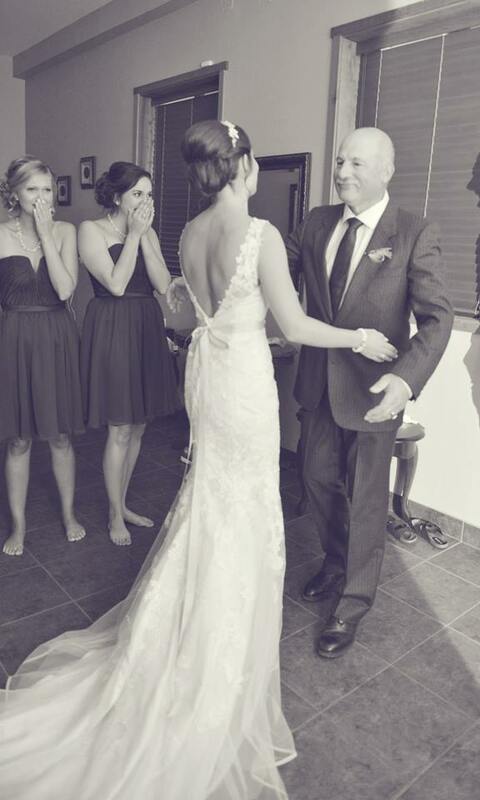 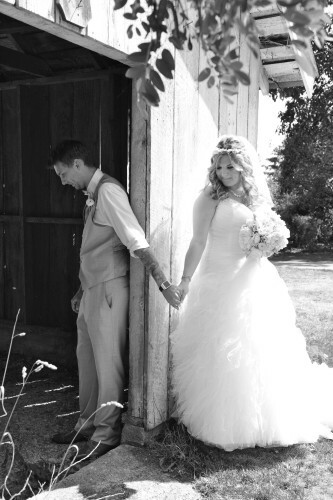 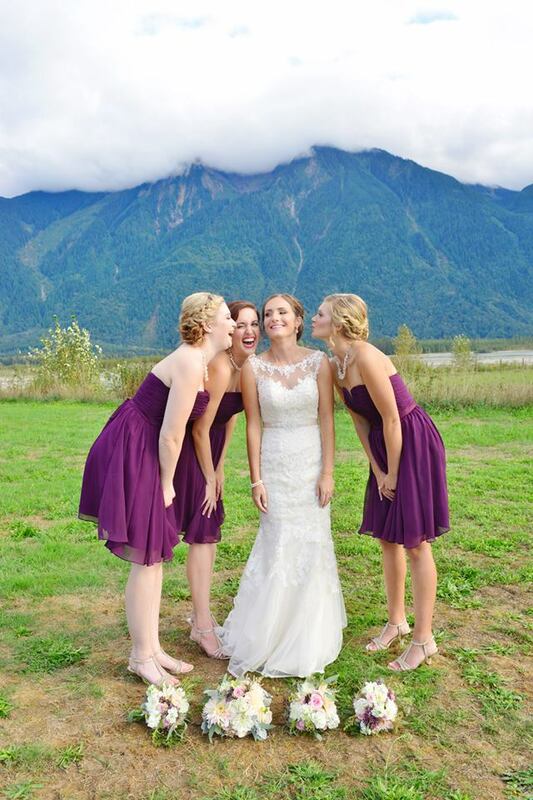 My team arrived at Venue, Estate 248 in Aldergrove BC to do makeup and hair on the Bride and 4 bridesmaids. 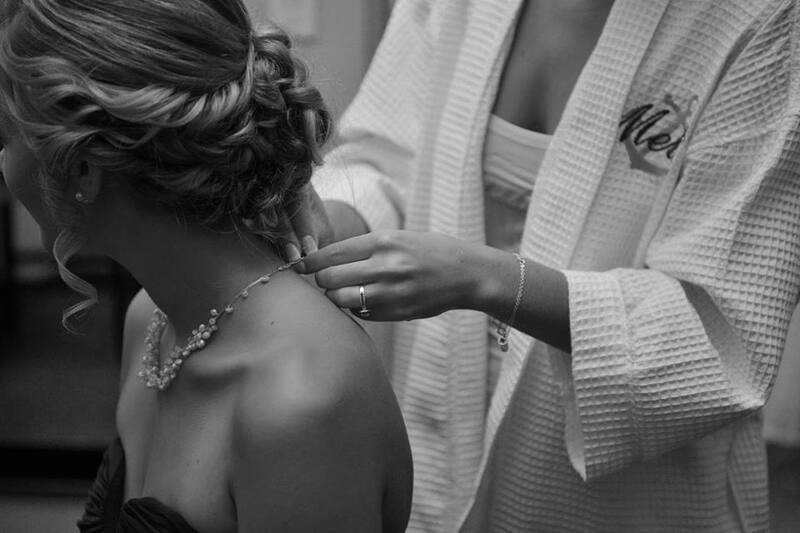 Artists Lianne, Jessie and Janessa spent the morning getting to know the group and creating a personal style for each client. The group got the works with hair, makeup, false lashes and airbrushed foundation. 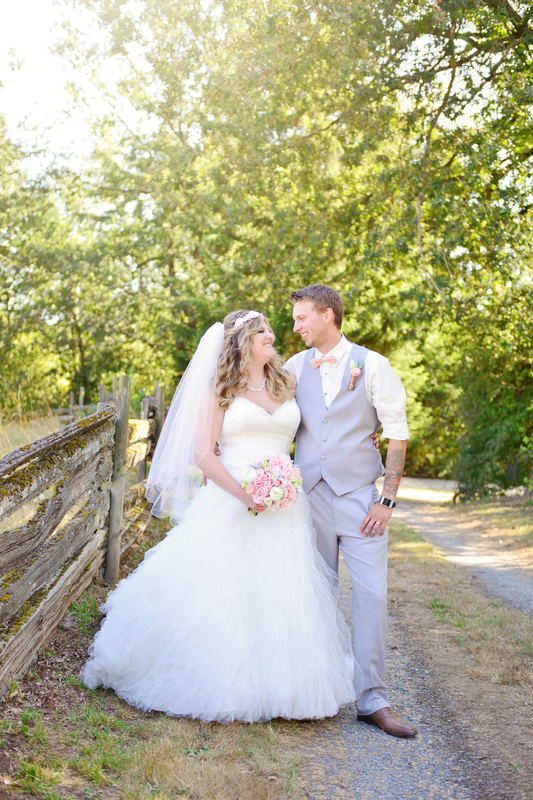 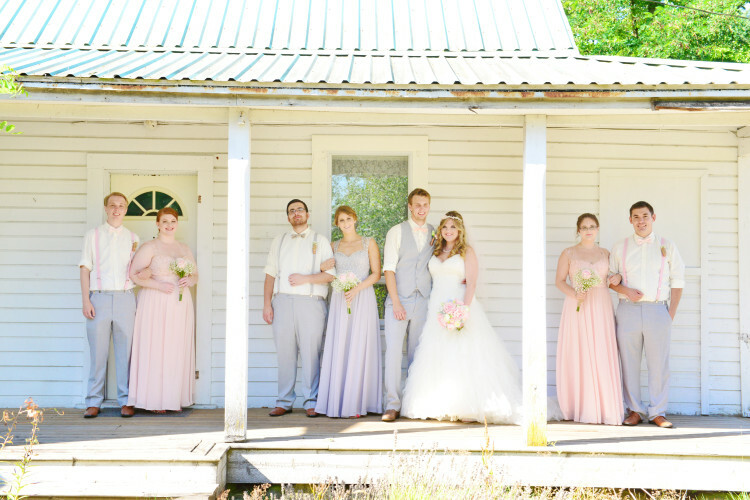 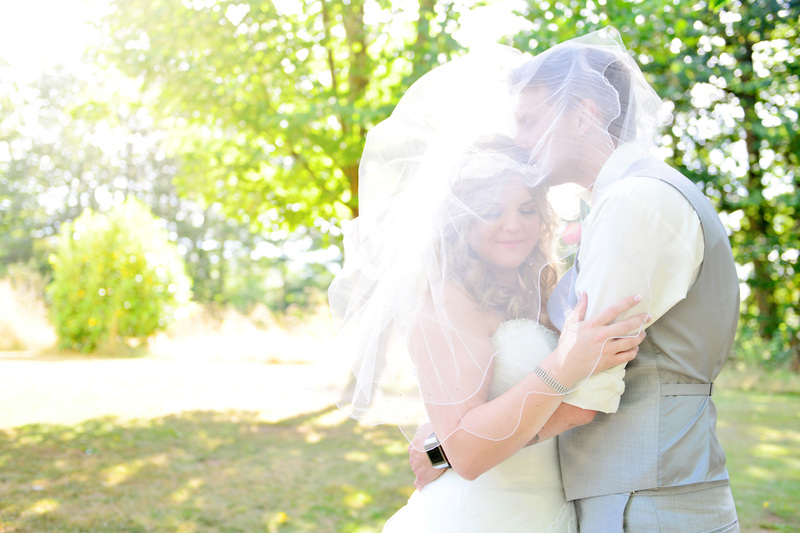 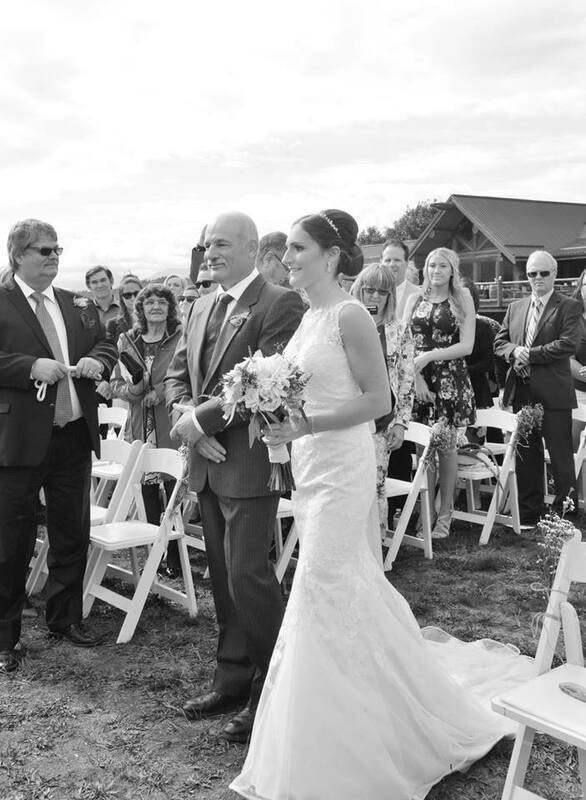 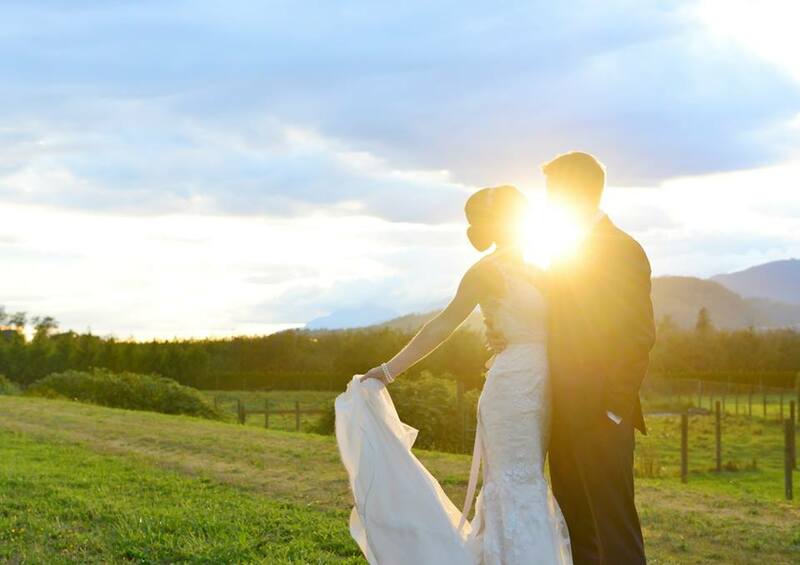 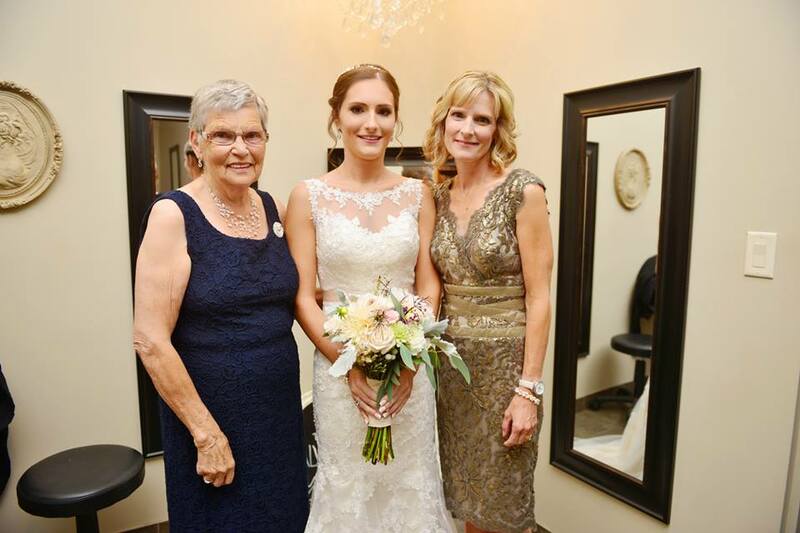 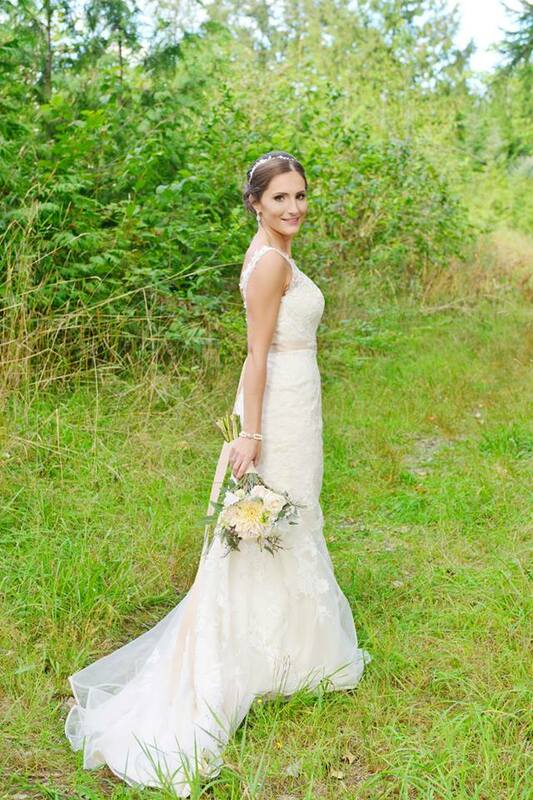 Estate 248 in Aldergrove offers a rustic country farm house for the bridal party to get ready in, I think it made everything look polished and crisp for the photos that Samantha Jiwa Photography got to take. 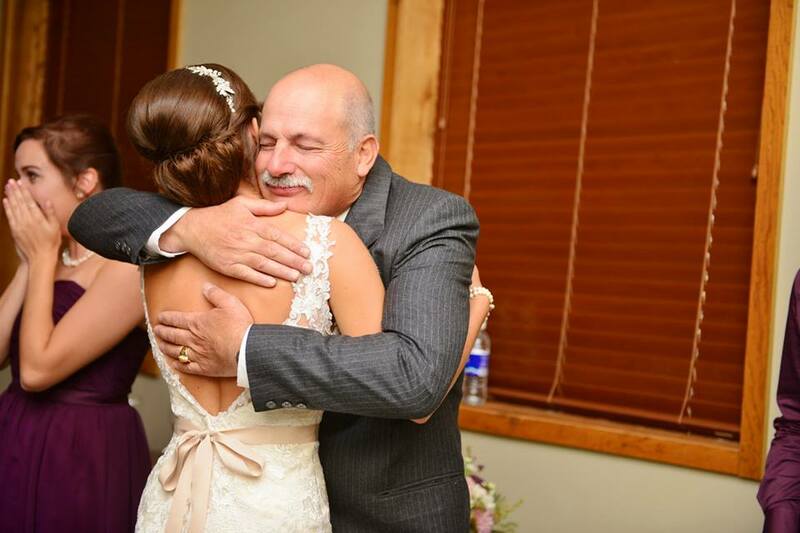 Thank you for your kind words and we wish to be able to have you in our chair someday soon! 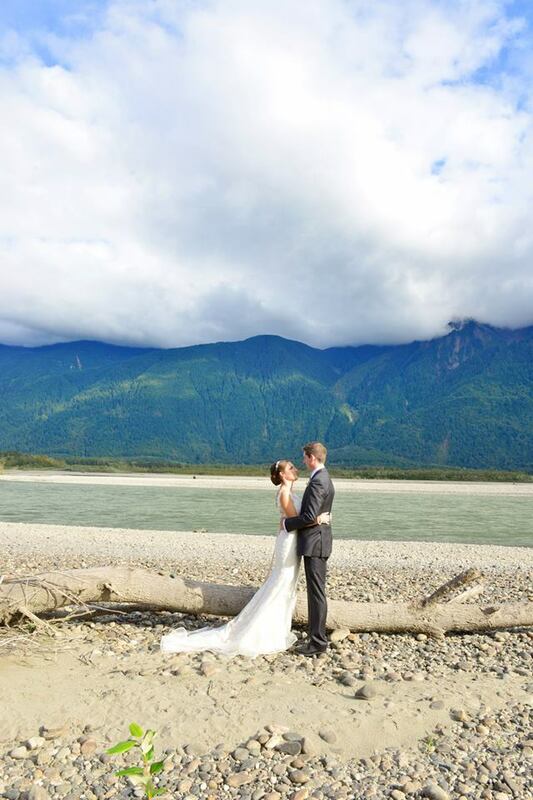 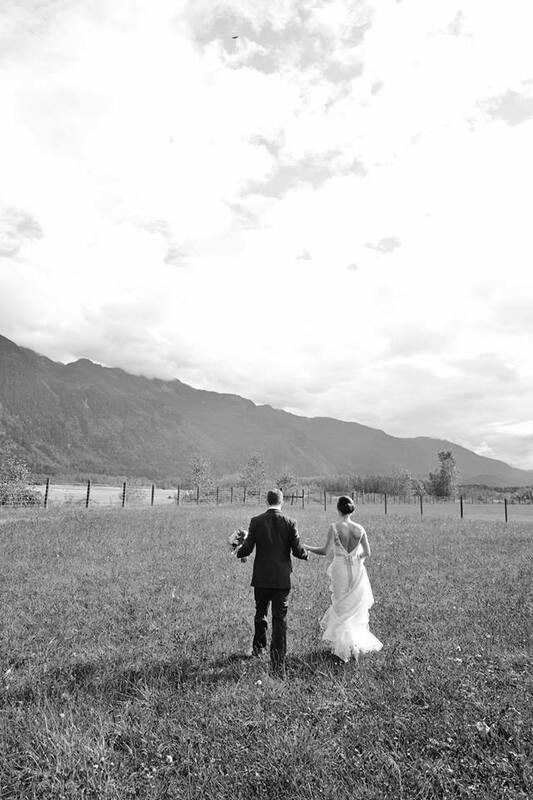 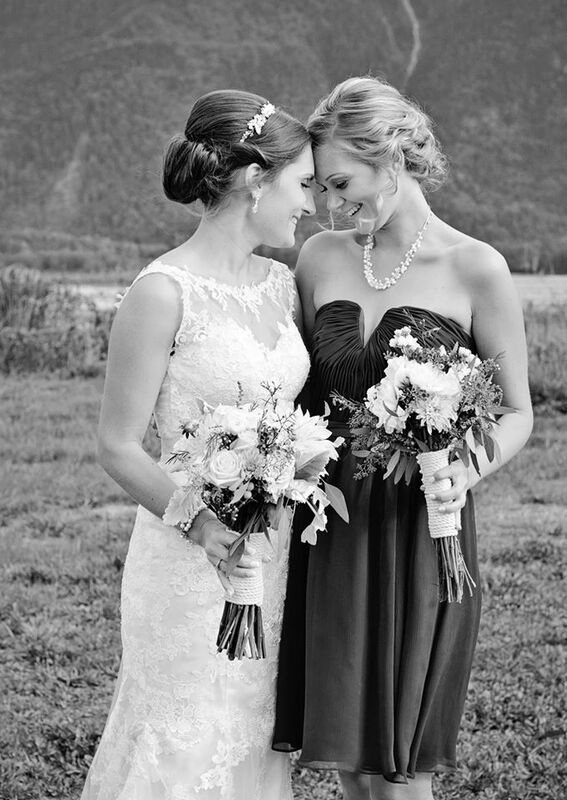 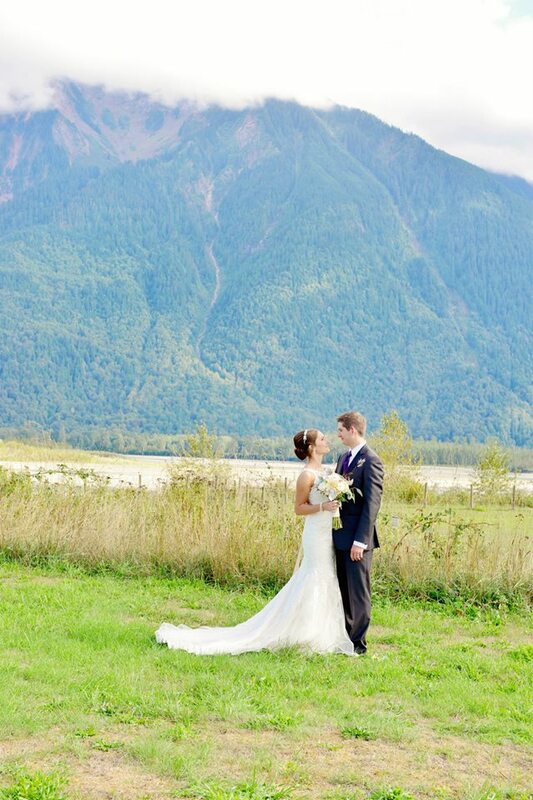 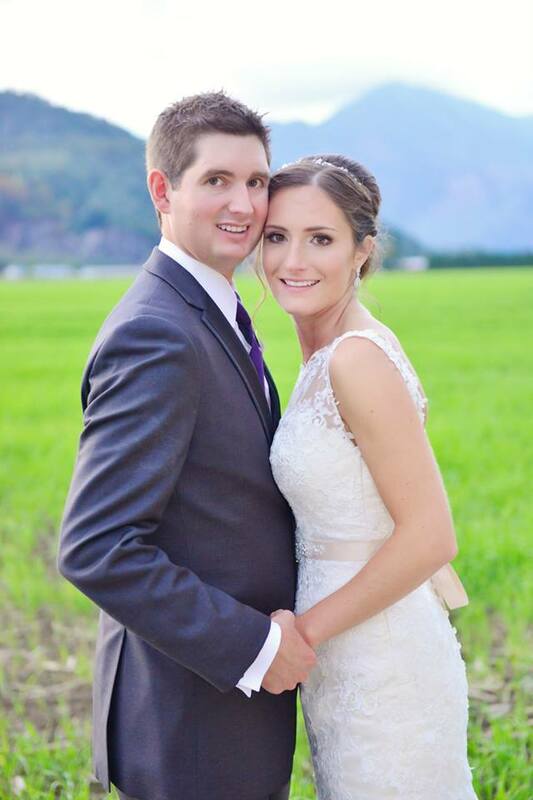 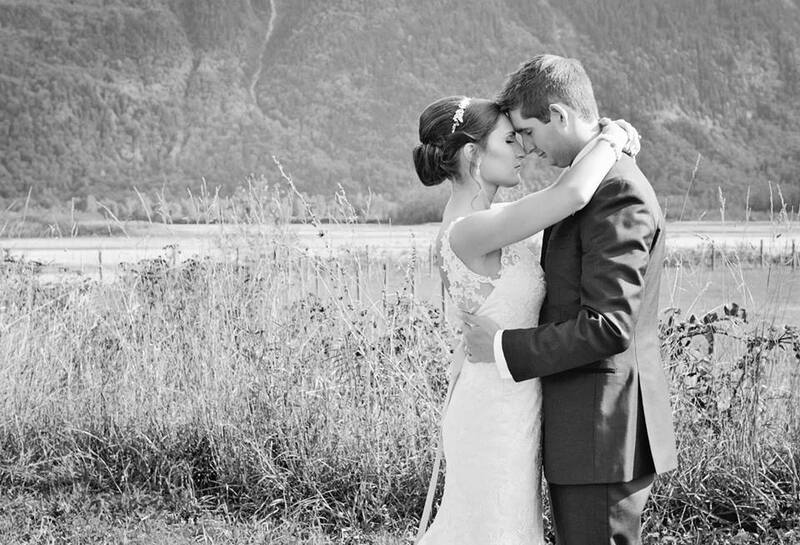 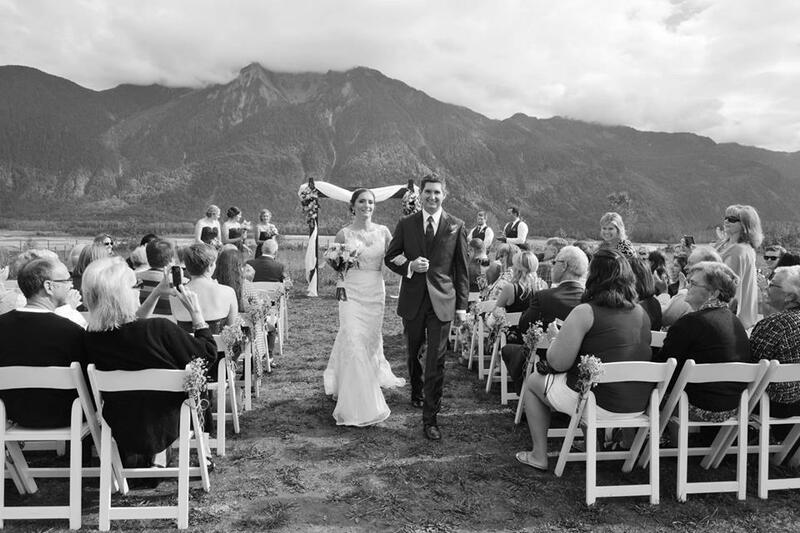 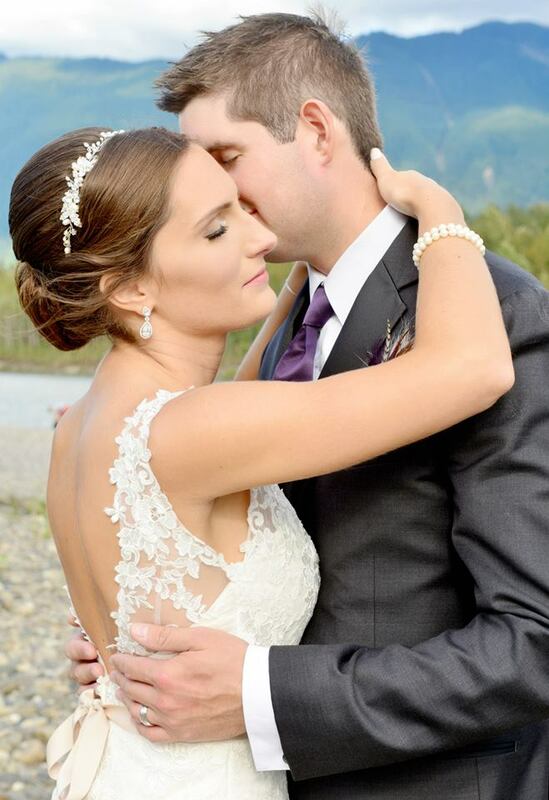 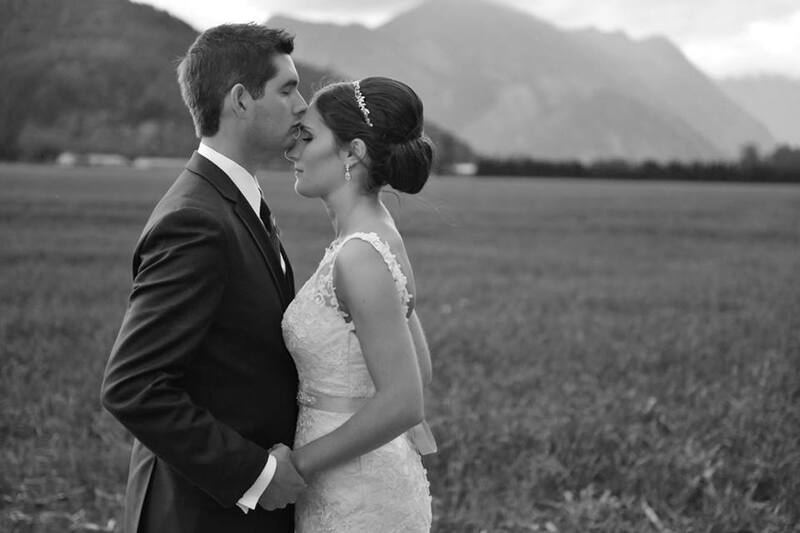 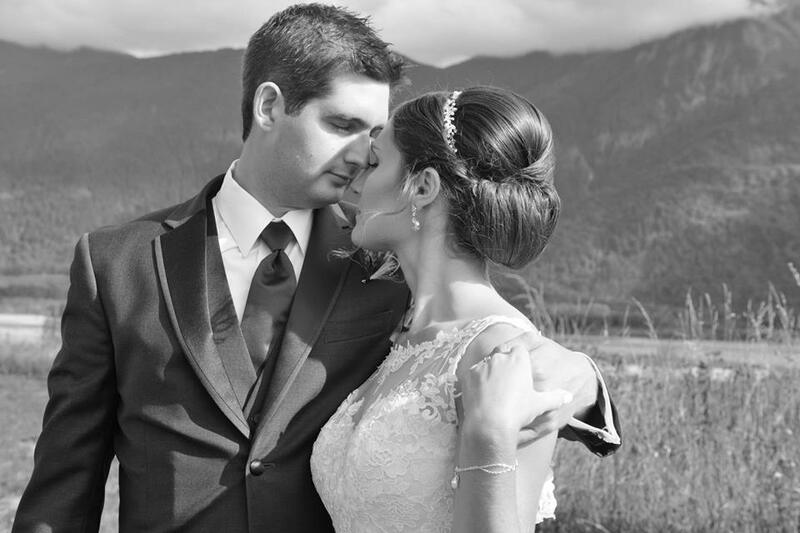 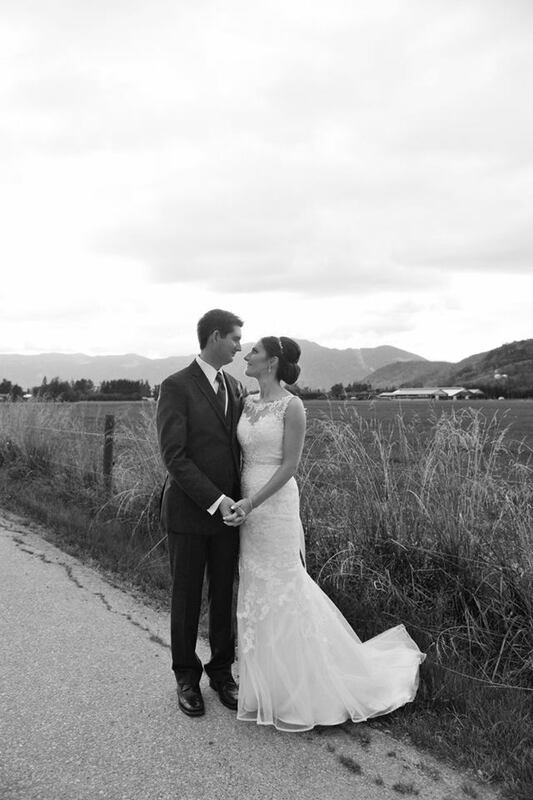 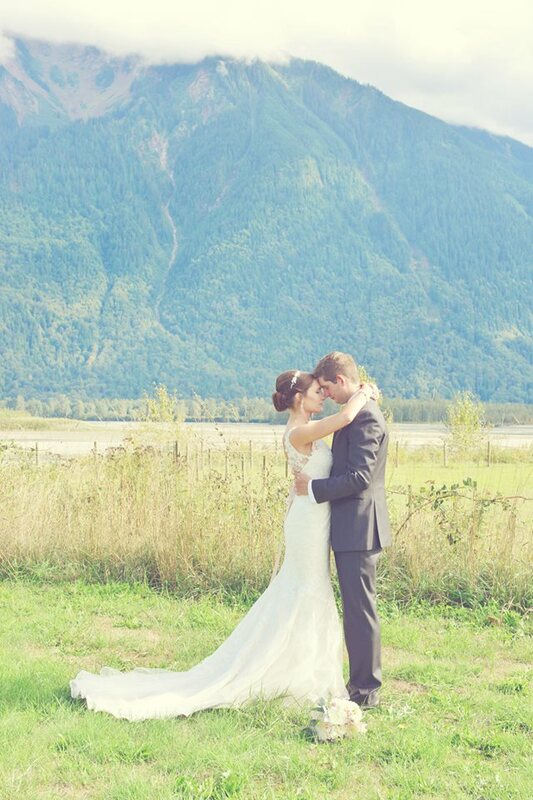 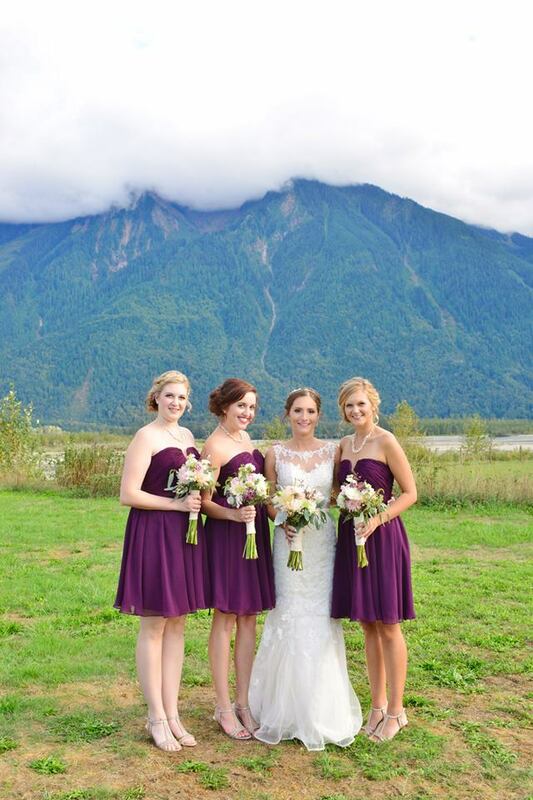 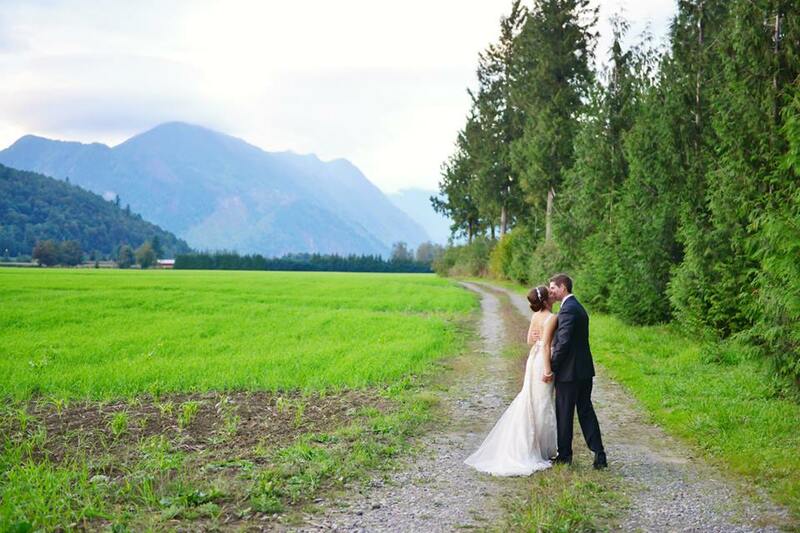 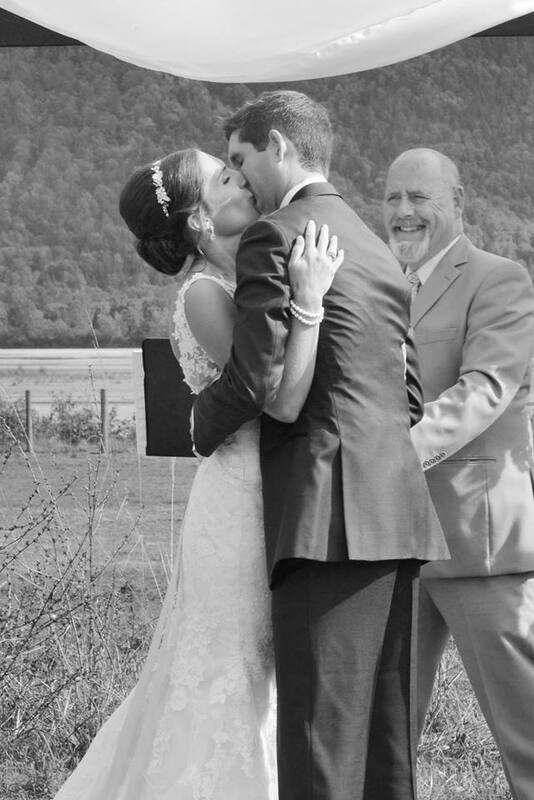 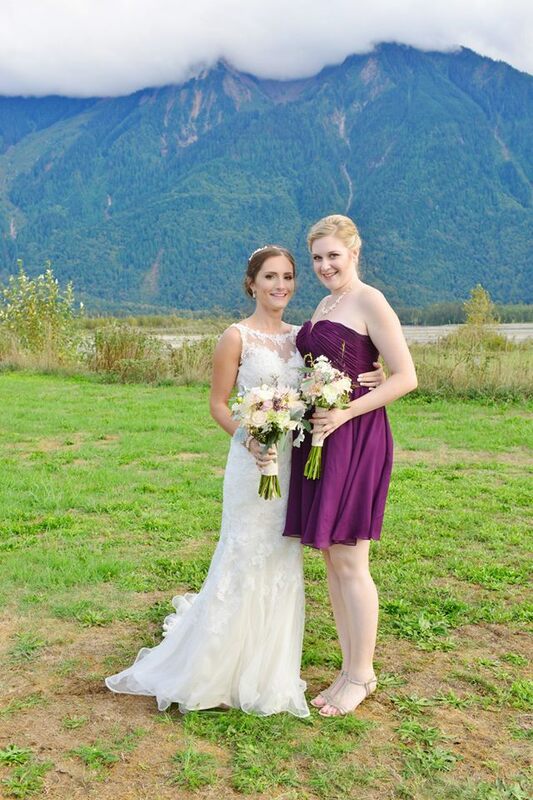 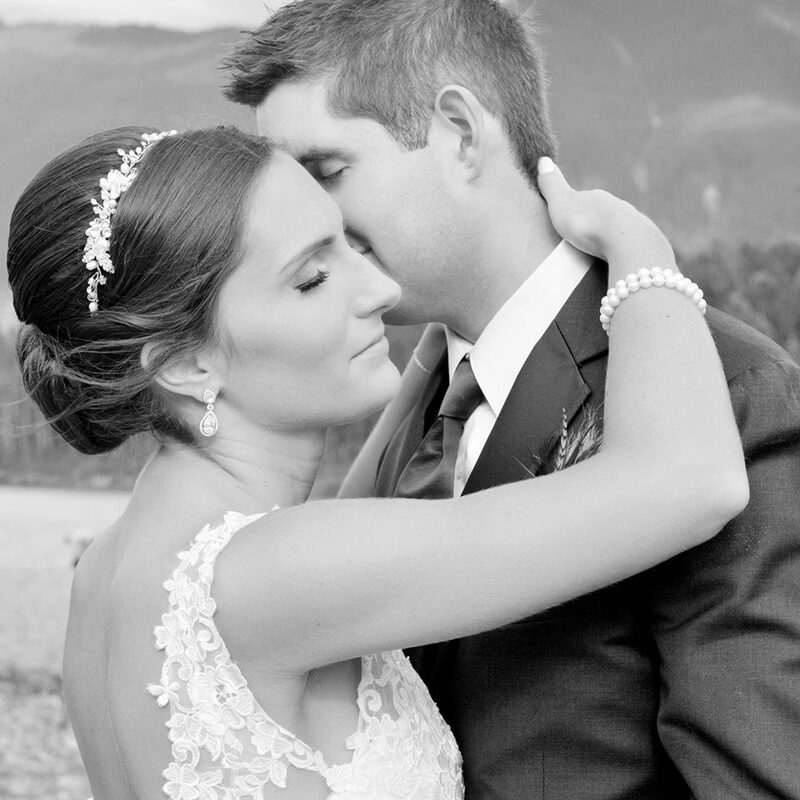 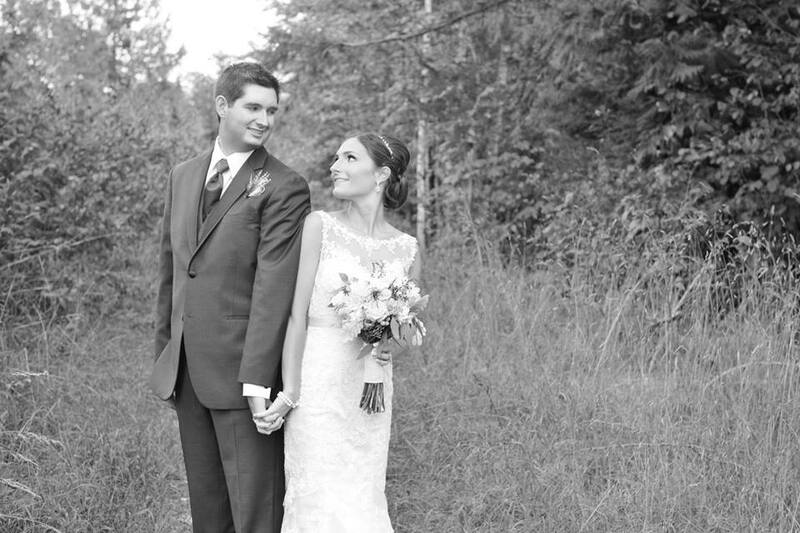 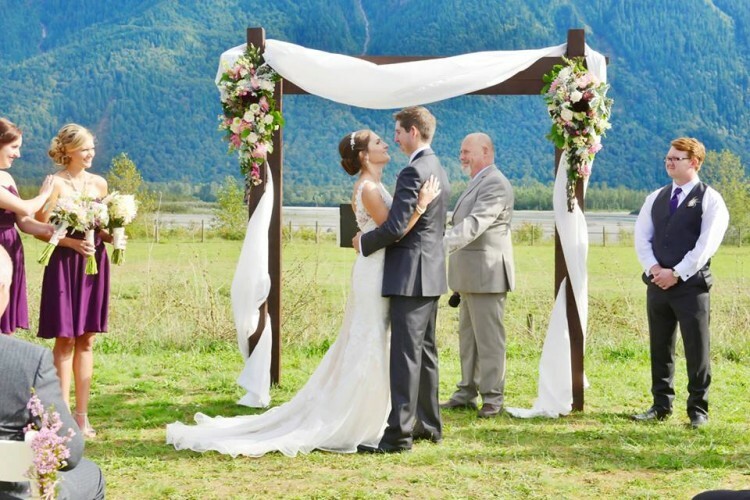 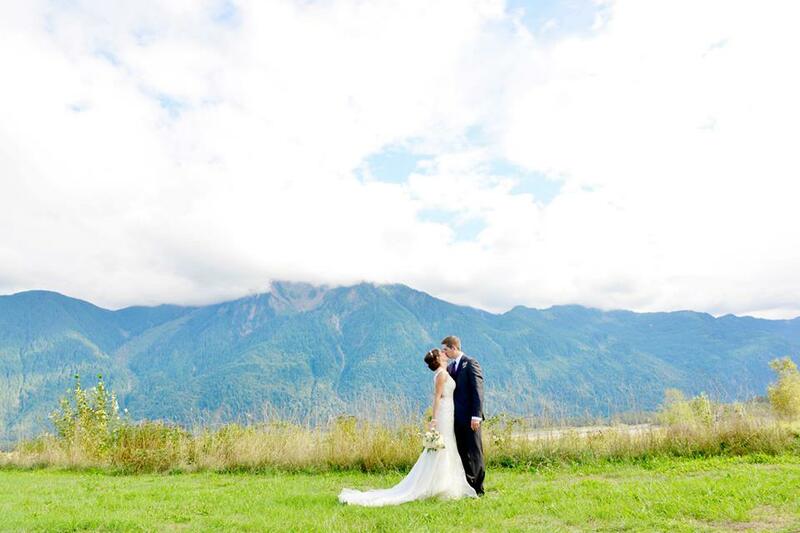 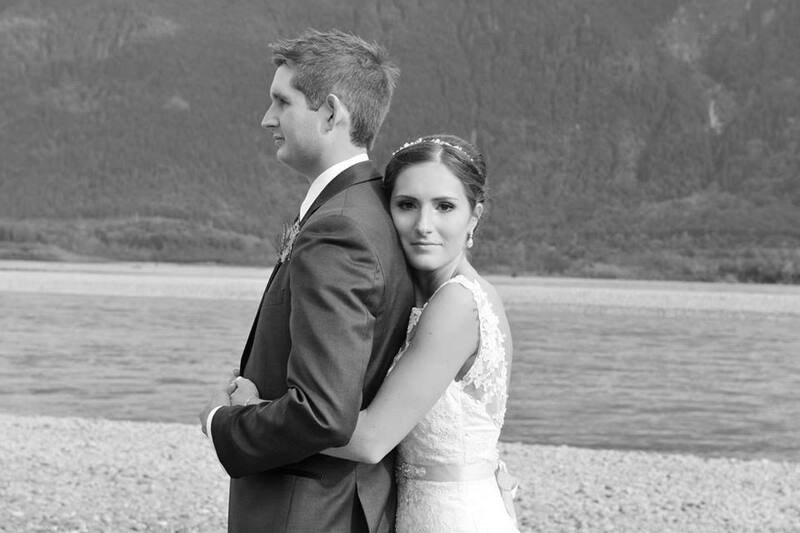 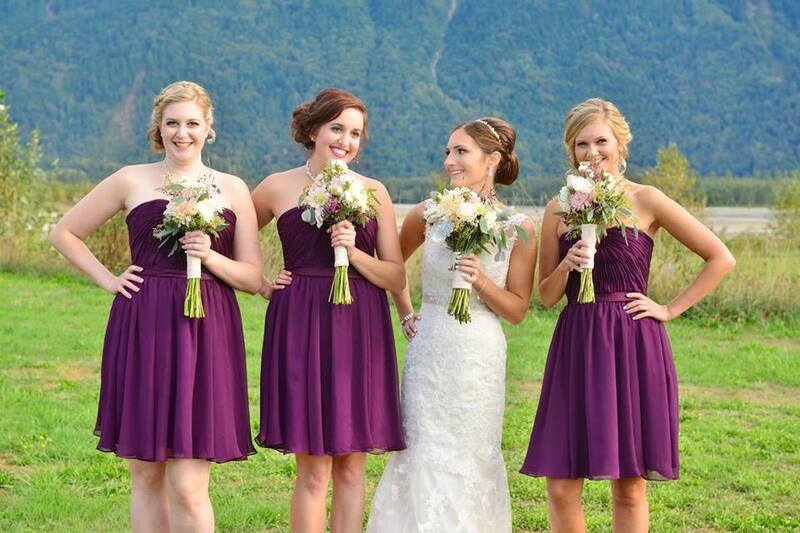 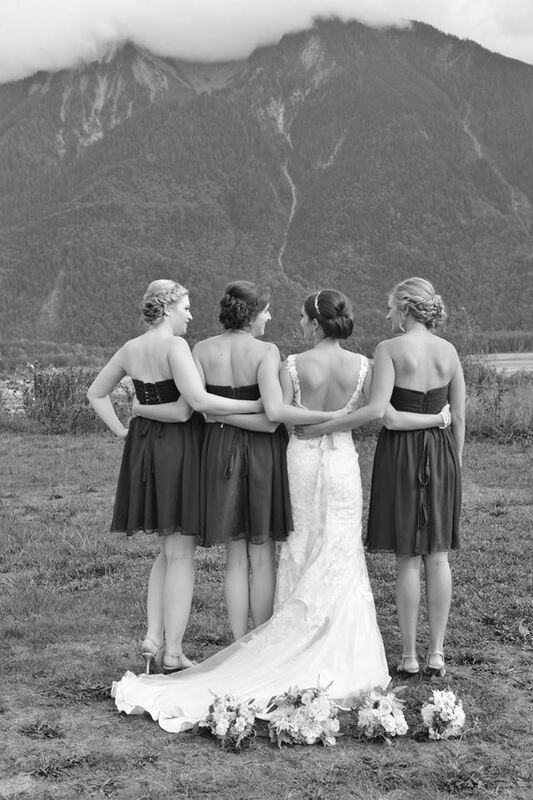 Melanie’s wedding was located at the Fraser River Lodge. 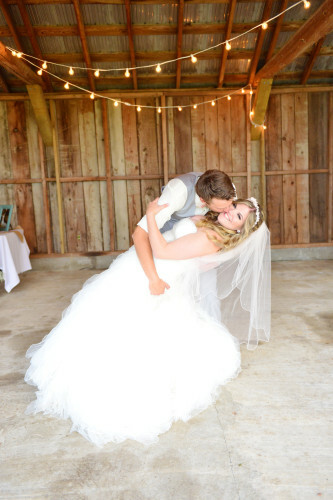 It had such beautiful decor, finishing touches and lovely clients! 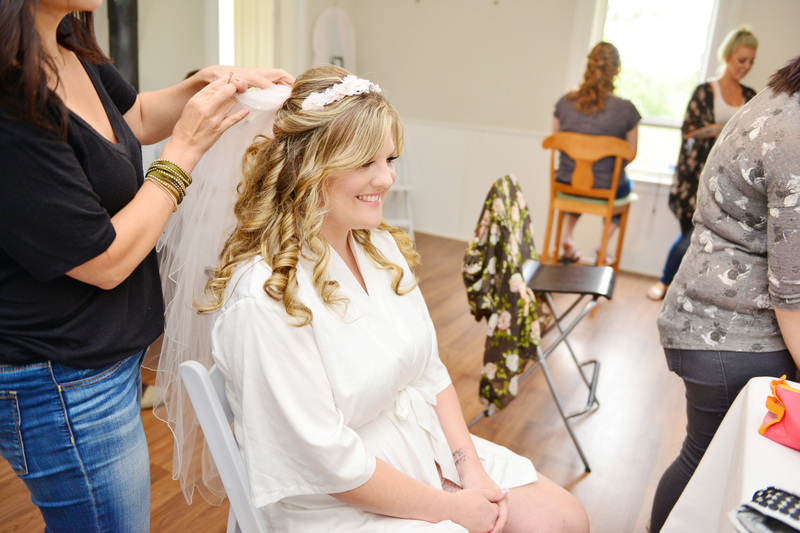 My artists, Shana ( makeup ), Jolene ( hair ) and myself arrived on the wedding morning and started makeup and hair. Everyone was very organized as to what they wanted done which was great for us. 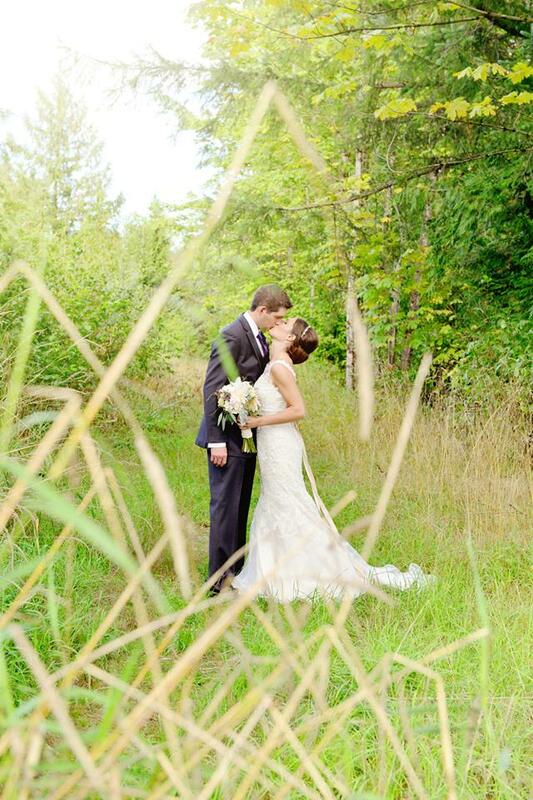 Most of our clients of the day were celiac ( gluten sensitive ) thankfully we are prepared for any situation. 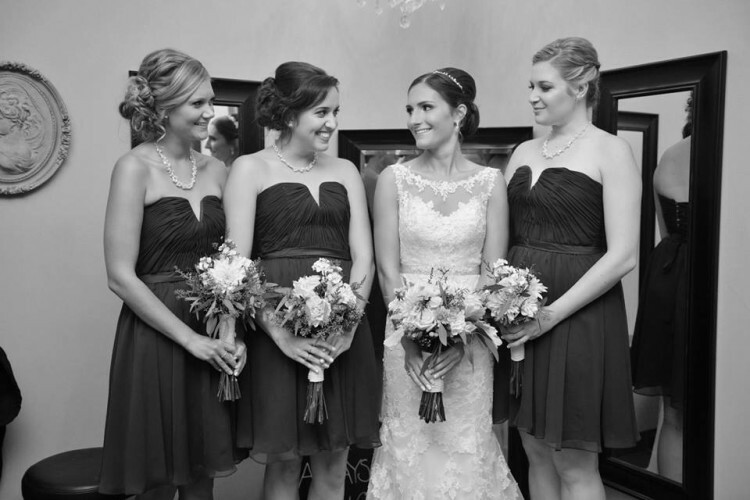 We used Sweet LeiLani and Lippy Girl cosmetics for the makeups. 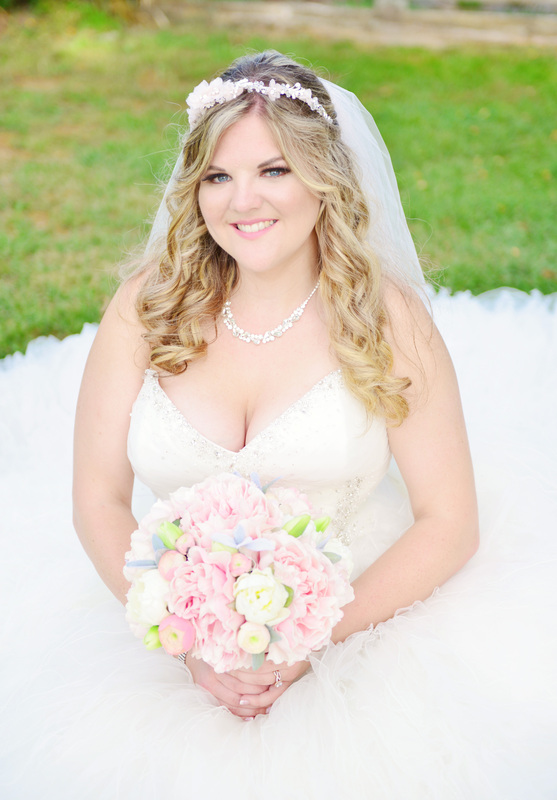 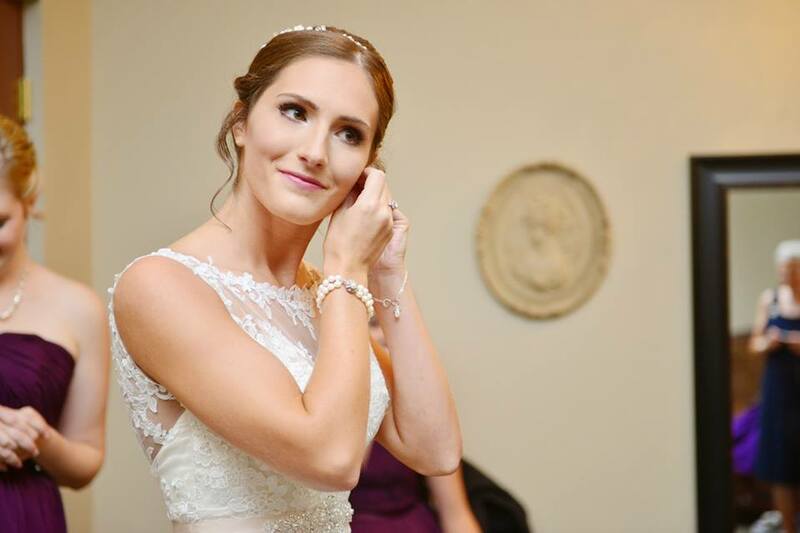 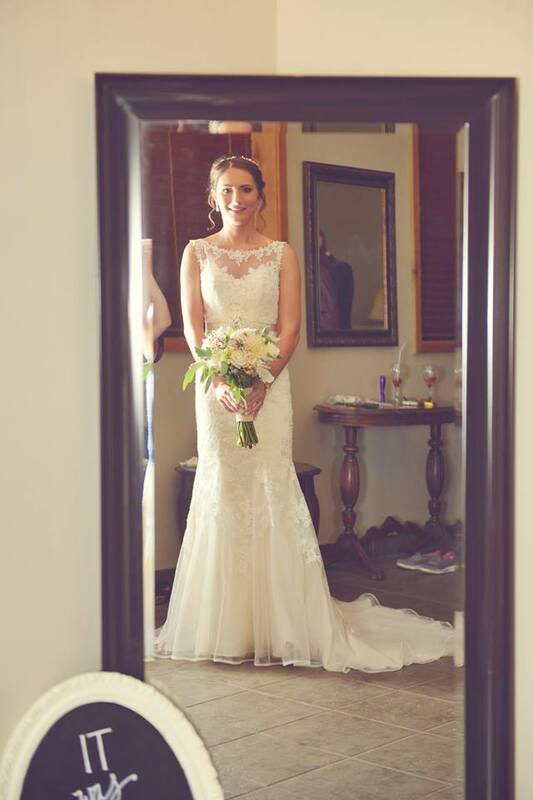 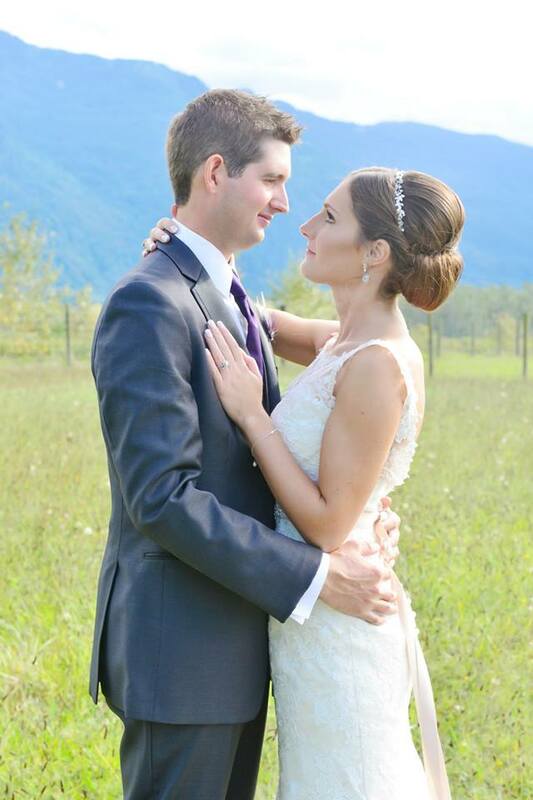 For Melanie’s makeup we went with a classic bridal look with soft eye definition and highlights. 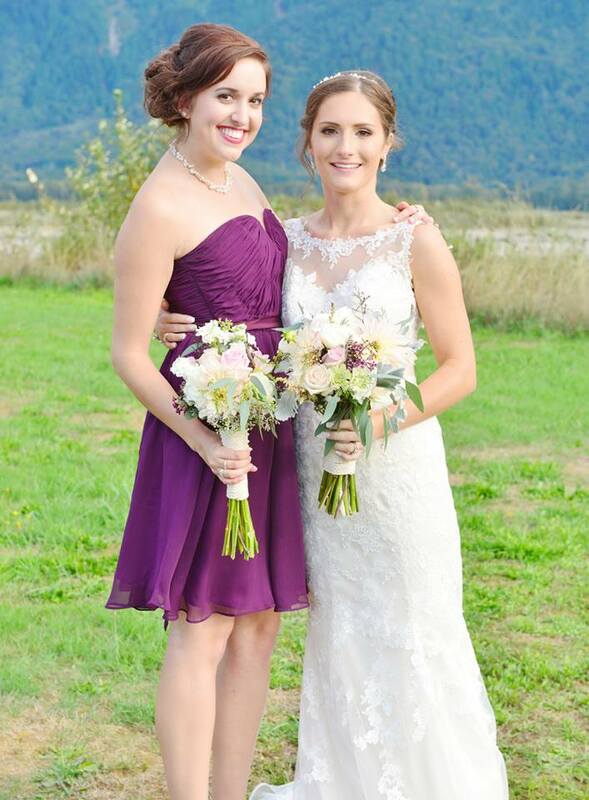 She purchased a lippy girl lipstick for touch ups throughout the day/evening in Schmoopy. Links are listed below for these cosmetic lines. 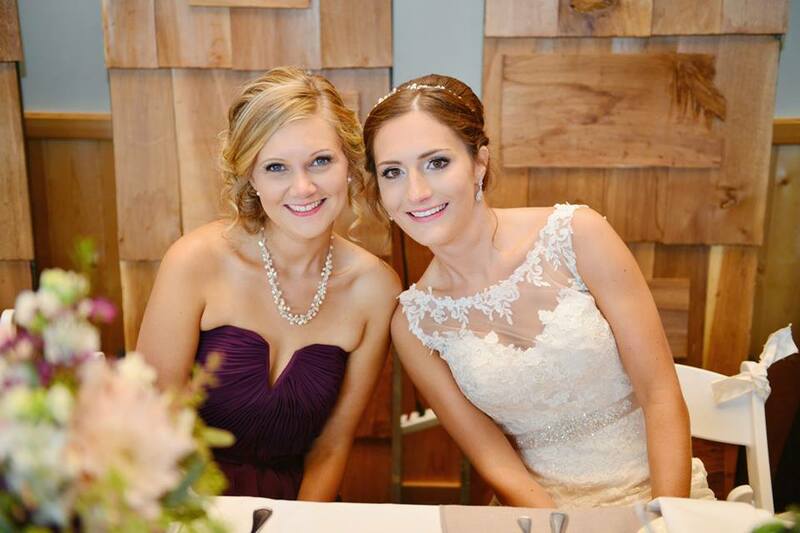 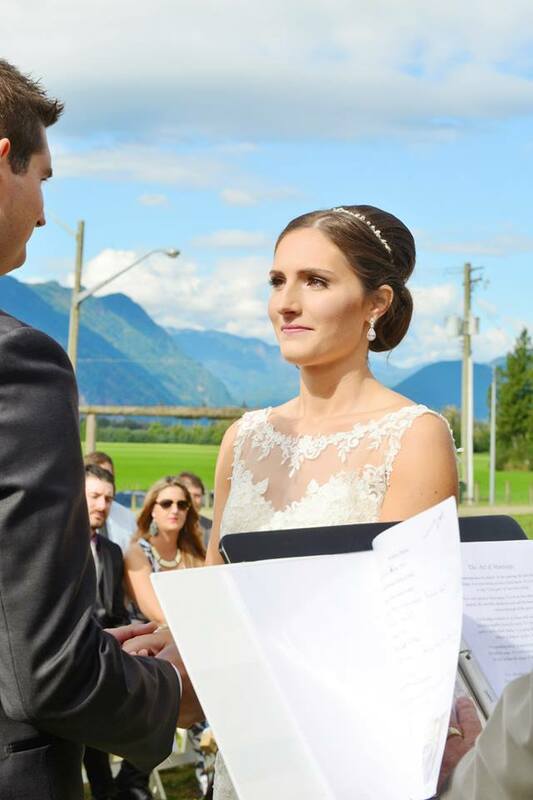 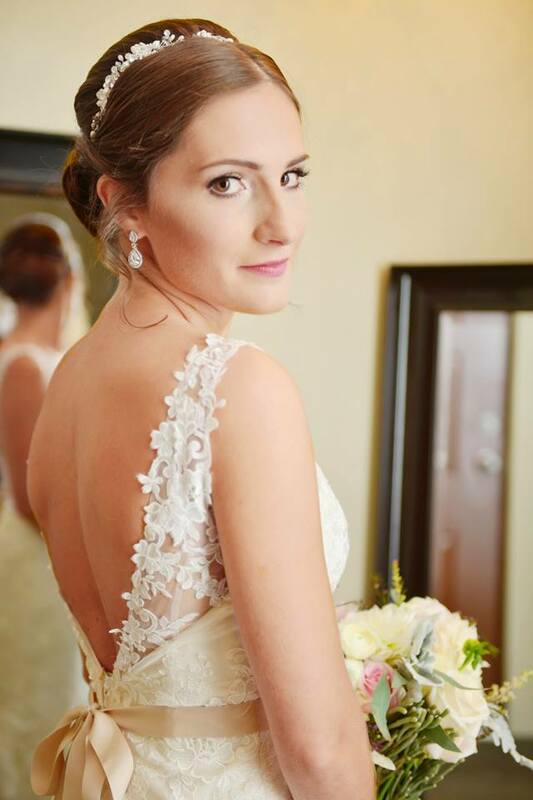 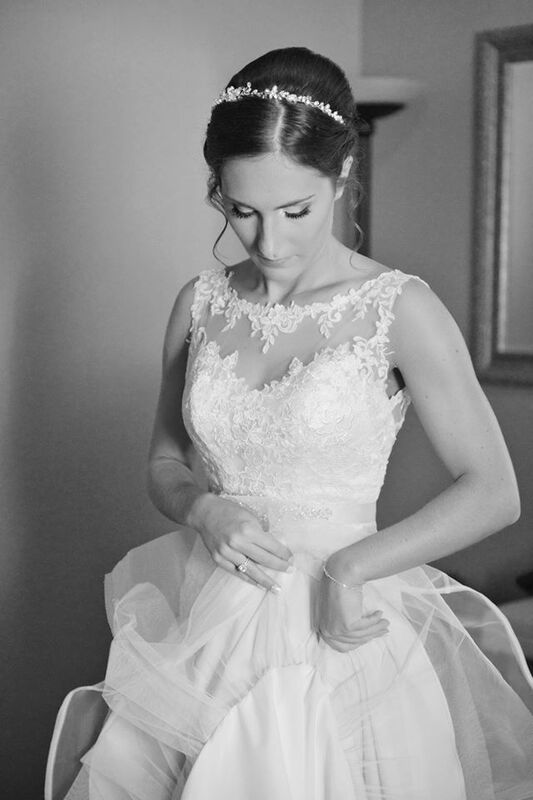 We did a beautiful chignon hair style for Melanie to showcase her stunning hair band. It was so great being apart of your day! 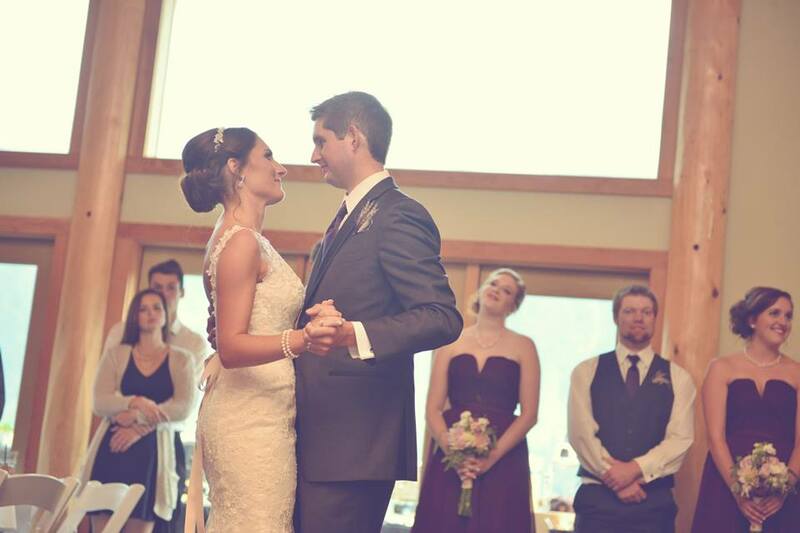 I wish you and Lane the best in your future together. 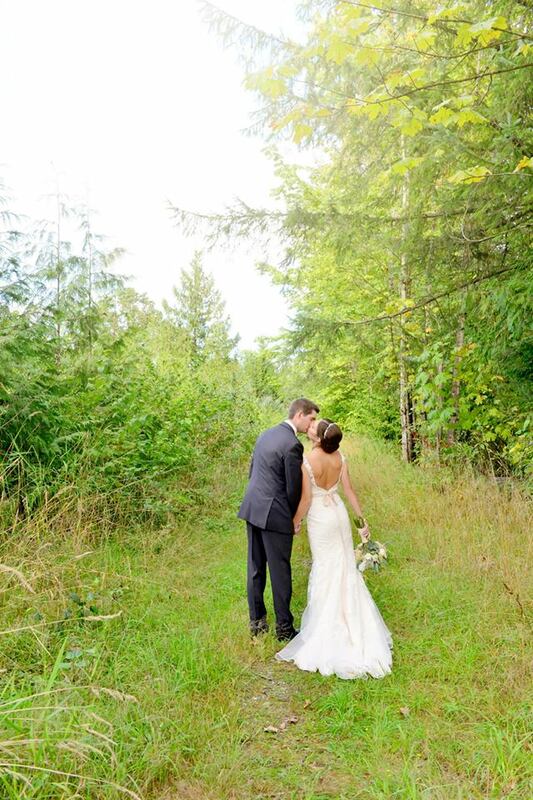 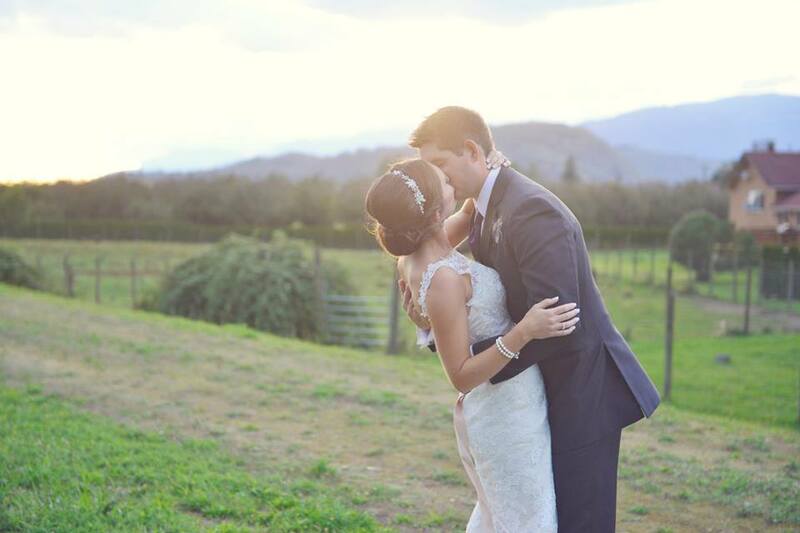 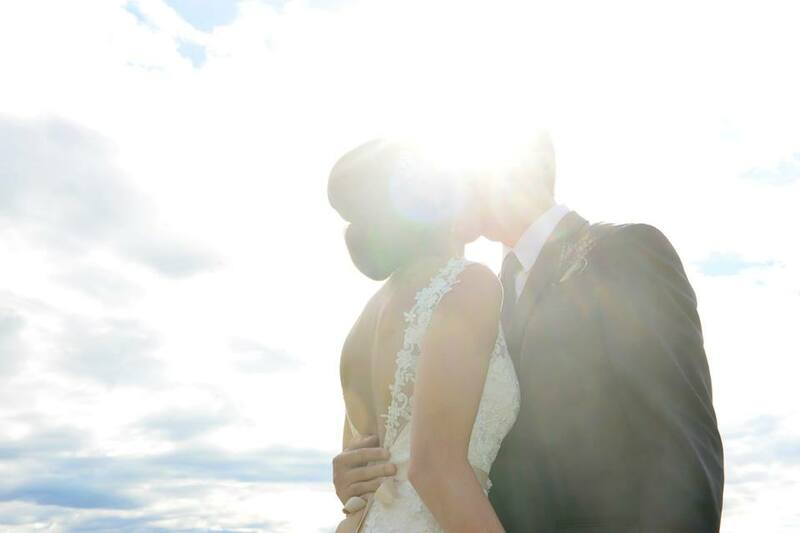 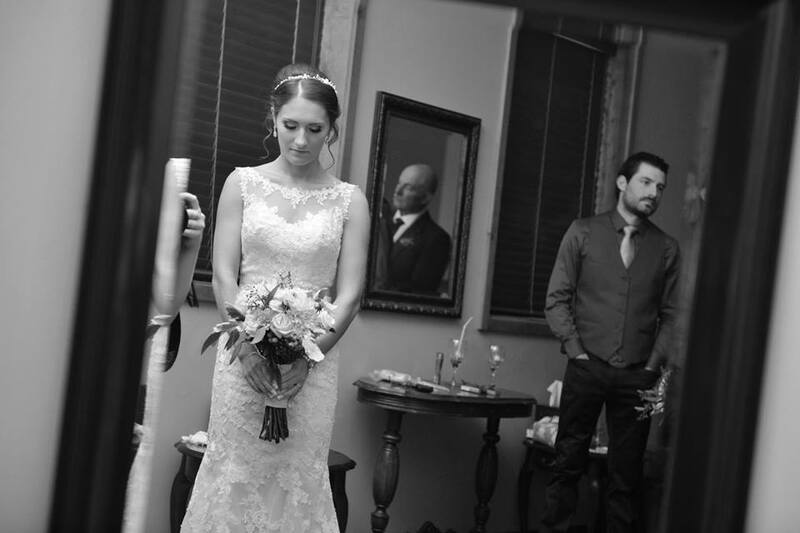 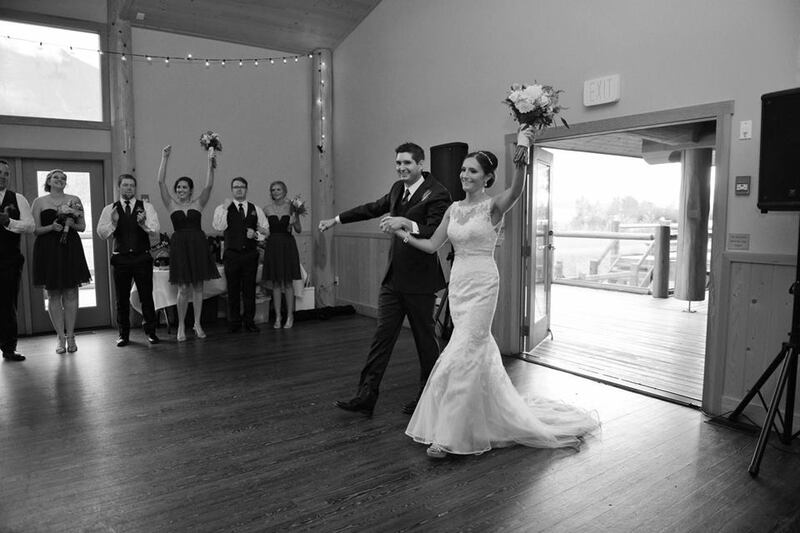 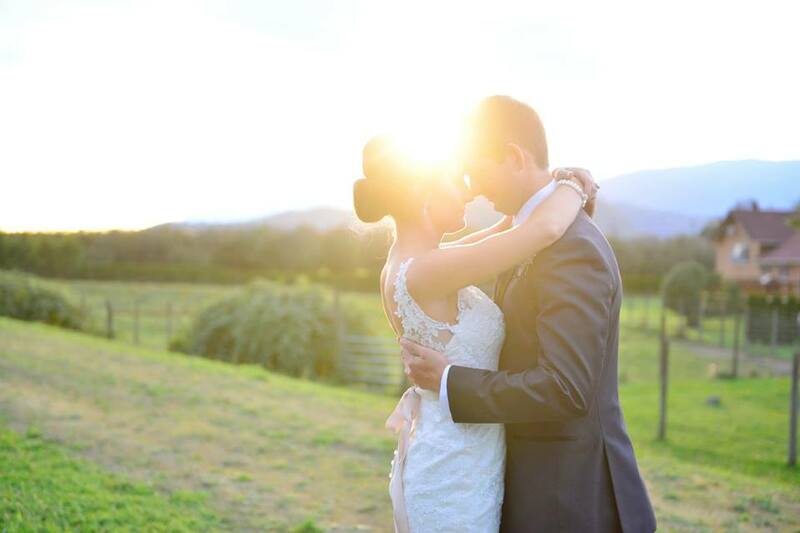 Thank you to Samantha Jiwa Photography for these breathtaking images of the couple and bridal party. 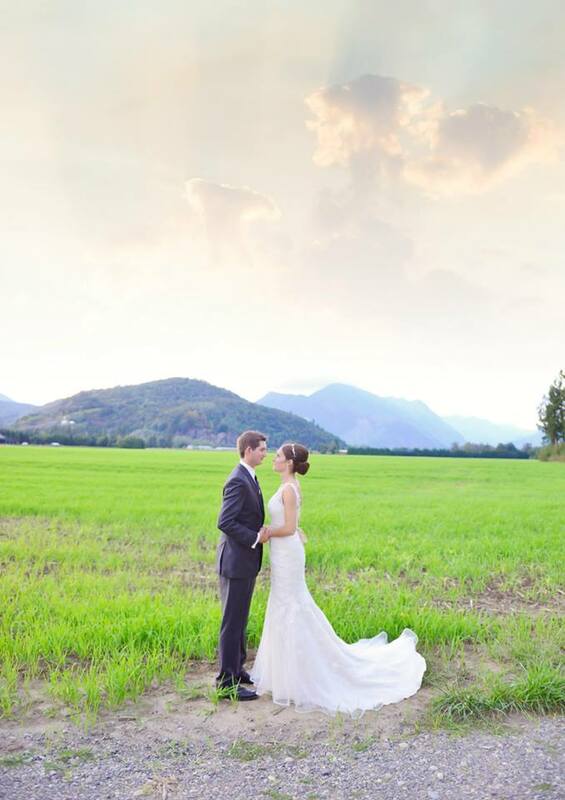 It is always great working with you!